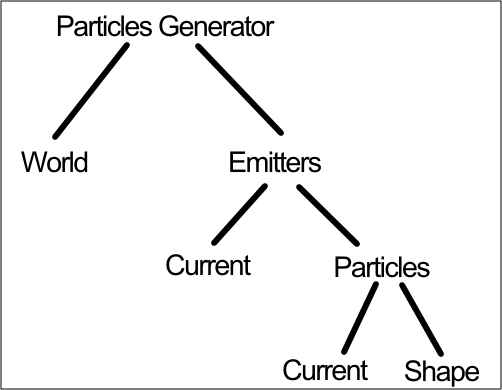 The Particles Generator works with various tabs and sub-tabs which are not necessarily all visible at first use. The names in the lower levels are sub-tabs. For example, the particles tab has two sub tabs : Current and Shape.